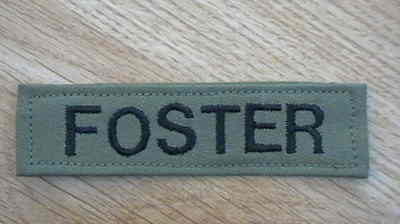 These name patches have your surname in capital letters, embroidered in any colour thread onto Olive Green Material. Select thread colour during the order process. You can have a qualification adding beside your name, also you can have velcro adding to the back, please make sure you add these if required.